Have you been frustrated trying to find out how to upload a custom map (e.g. 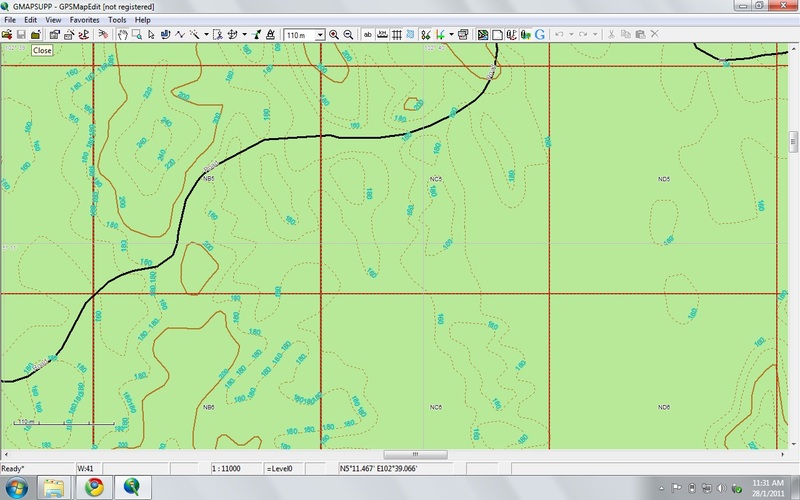 with grid cells and topo maps) to your Garmin GPS? We have. There are always conflicting instructions on the internet and there’s no one website which explains the steps clearly. We’ve decided enough is enough! One of Rimba’s ex full-time researchers, William, has put together a useful guide on how to upload your very own custom maps to your Garmin GPS! Click here to download the instructions on how to get your own maps (like ours below) into your Garmin 60csx and 62 series. Now you won’t have an excuse for putting your camera trap in the wrong place! Special thanks to Nyon, and to Taufik and Poejoe from the Department of Wildlife and National Parks for pointing us in the right direction! Publication update 1: Is sustainable use of Malaysia’s cloud forests possible? Photo update 1: Kenyir’s wildlife up close! Recently OkMap freeware software (www.okmap.org) include a feature to generate automatically compatible Garmin custom maps (kmz format). The map calibration is sophisticated because OkMap uses different type of projection and several datums. This new feature includes map tiling from and to different image file formats (including from ECW map files). It’s possible select KML extensions 2.2 (if GPS supports them), the JPEG quality, KML transparency, draw order, ecc..
You can select the tiles to generate in output. This feature support also not north oriented maps. OkMap include a Google maps server to download maps from Google, OpenStreetMap, MyTopo, DOCQ, ecc.. These two features combined together may be very useful.